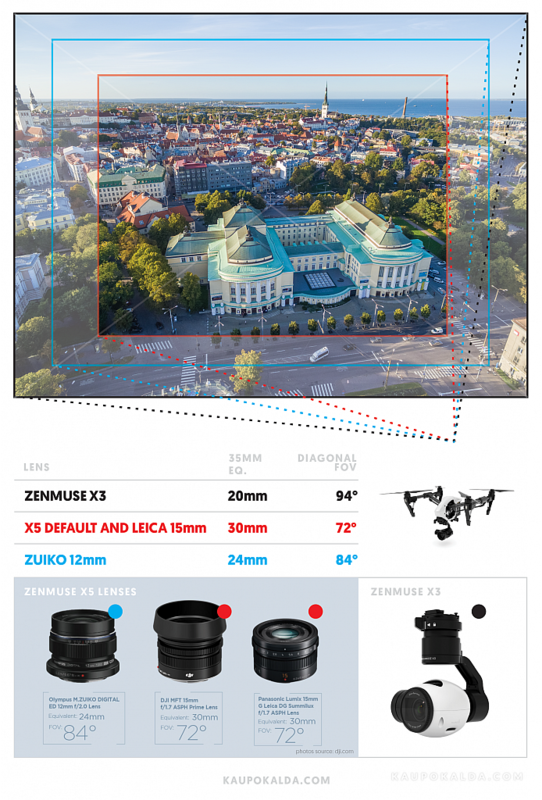 Dji Inspire 1 Zenmuse X3 aerial camera (35mm equivalent is 20mm) has 94° diagonal Field of View (FOV). Zenmuse X5 default 15mm lens (eq. 30mm) is 72°. Optional Micro 4/3 lens Olympus Zuiko 12mm f2.0 (eq. 24mm) is 84°. See also camera comparison table on Dji.com website.